This box is all about investigating, solving and uncovering the truth using science to detect who did the crime! 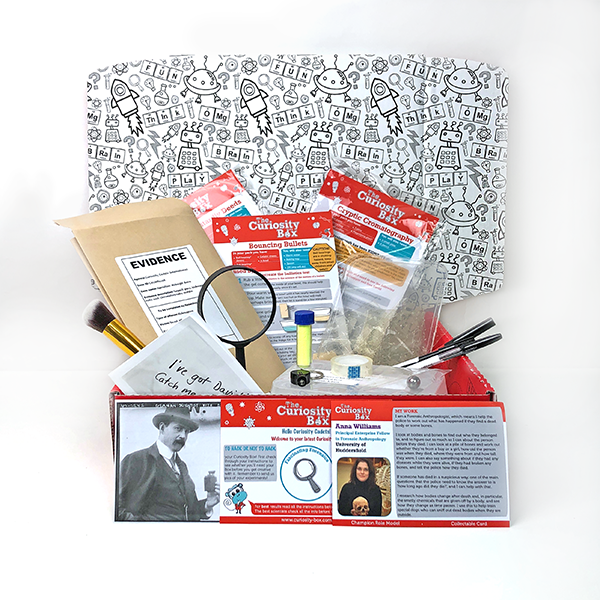 There are 3 activities in this box, a cool UV torch keyring and a magnifying glass to add to your science kit! Learn how to detect who did the dastardly deed using fingerprints and UV light. Recreate the ballistics test used by police and figure out who kidnapped David Attenborough by using chromatography!